Some days all you need is a pair of jeans, a white tee and some good (read: fabulous) accessories. 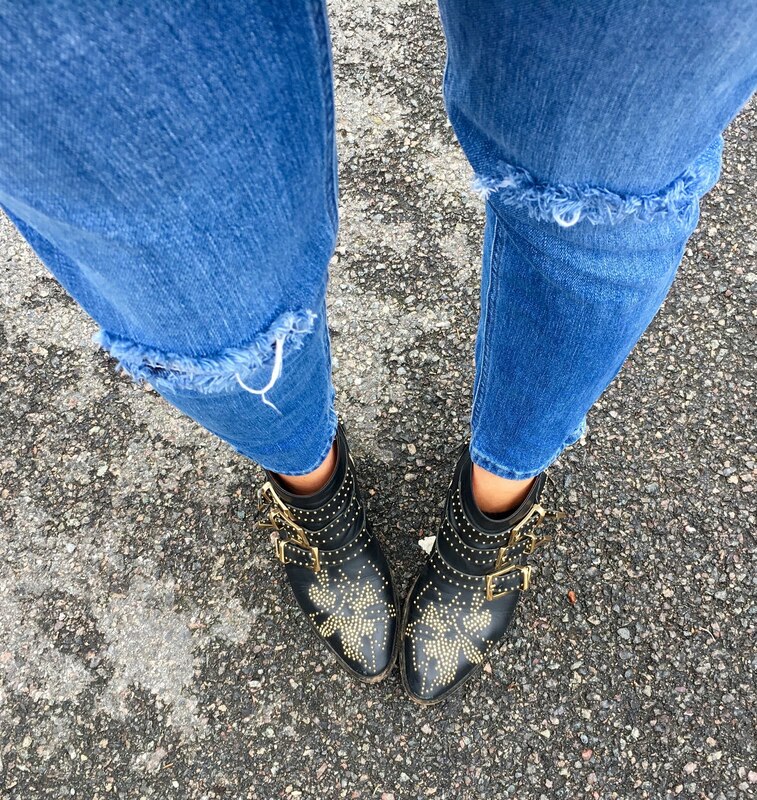 I bought these Chloe boots about 5 years ago and I know they're stupidly expensive, but I’ve had so much wear out of them they've been worth every single penny. I’m also loving my Gucci belt right now. I first had one years ago, back in the day when I had a part time job at M&S purely so I could buy my first designer pieces and pay for nights out at Cheekos above the Archway Tavern (I was young). Unfortunately I have no idea where that belt disappeared to, which is very upsetting. I’m worried I gave it to charity while I was having a mass clear out one day, and I think that's why I've become such a massive hoarder. Well, that's the excuse I'm sticking to if my husband asks. As for the leopard print jacket well that was a last minute throw on as it was cold. IN JULY! 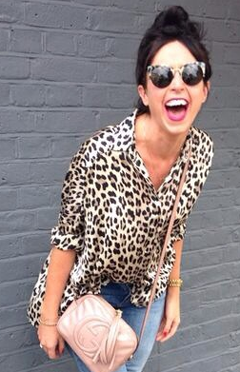 Leopard print is always a good idea as it's the trend that never ends.